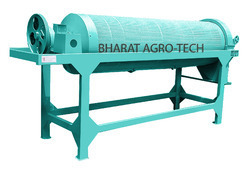 SCOPE OF USE: Indent Cylinder is used for eliminating impurities from the granular materials such as wheat, barley, oat, rice, maize, lentil and other fine seeds to be conditioned based on their length. Owing to our in-depth industry experience and precise knowledge of this domain, we are offering an outstanding assortment of Indented Cylinder Grader. With the valuable assistance of skilled team of professionals, we are engaged in offering an extensive range of high-quality Indented Cylindrical Graders. - Indented cylinder is used for separation of seeds/grain on the basis of length. For example separation of weed seeds from wheat or paddy seeds. 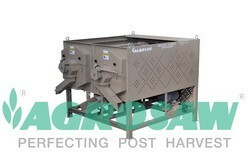 - The indented cylinder also separates broken seeds/grain from whole seeds/grain on the basis of length. We are actively engaged in manufacturing and supplying an extensive range of Indented Cylinders to cater the diversified requirements of our clients. By leveraging upon our huge industry experience, we provide the best quality array of Indented Cylinder Grader. Keeping the diverse requirements of customers in mind, we are instrumental in providing Indented Cylindrical Graders.